Reliance Jio approaches Telecom Secretary Aruna Sundararajan for cancellation of the mobile tender for the North-East awarded to Bharti Airtel. Jio alleges that the tender limits project deployment to only 2G services. The debt-ridden telecom sector has been facing a disruptive effect since the arrival of Reliance Jio in the market. Mukesh Ambani-led Jio has been engaged in a verbal duel with rivals. The newcomer Jio on Thursday approached Telecom Secretary Aruna Sundararajan for cancellation of the mobile tender for the North-East awarded to Bharti Airtel, alleging that it limits project deployment to only 2G services. After the mobile interconnect charges were recently slashed to 6 paise/ minute from the earlier 14 paise per minute, most operators, had lashed out at the Telecom Regulatory Authority of India (TRAI) for agreeing to Jio's demands. 1. On September 8, the Telecom Commission had cleared Airtel's bid to install nearly 2,000 mobile towers in north eastern states for Rs 1,660 crore under the government-funded Comprehensive Telecom Development Plan for the North-Eastern Region (NER). 2. Under the plan, 8,621 out of 9,190 unconnected villages are to be covered by installation of 6,673 mobile towers with a total outlay of Rs 5,336.18 crore. 3. 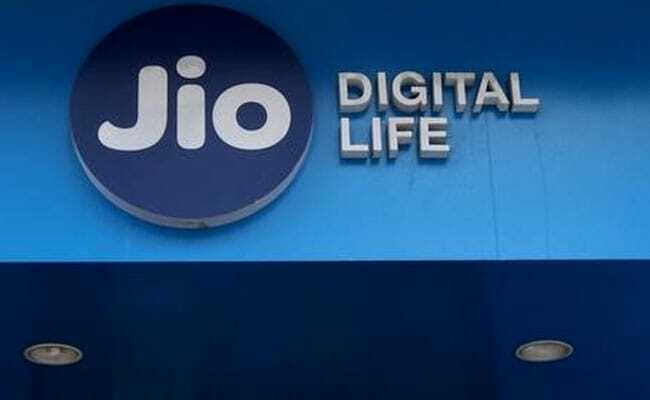 Jio, in a letter to Ms Sundararajan on September 18, said the tender condition requiring service support to 2G handsets automatically mandates deployment of the outdated technology that is not only inefficient but expensive. 4. The company demanded that mandatory conditions to support 2G mobile phones in the tender for the North-East and Andaman and Nicobar islands be removed so that all telecom operators participate in a "fair and competitive manner" and benefits of the latest technologies can be provided to people in the north-eastern region. "... the decision to award the tender to M/s Bharti Airtel for some parts of the north-eastern region based on the current and faulty and restrictive tender conditions may also kindly be cancelled forthwith and a fresh tender may be issued with fair conditions for the benefit of people," Jio said. 5. State-owned BSNL has also been asked to roll out 2,000 mobile towers under the project. It has selected domestic telecom equipment maker Vihaan Networks and Himachal Futuristic Communications Ltd (HFCL) for network launch, but is yet to get approval from the Department of Telecom (DoT). 6. Department of Telecommunications (DoT) had floated this tender in 2016, but there were no bids. It then approved most of the changes in the tender document as demanded by industry body Cellulars Association of India and invited fresh bids this year, which saw participation from only Bharti Airtel. 7. Jio stated that the licences granted by DoT are technology neutral and there cannot be any discrimination during the tender process on the basis of technology deployed. 8. The company said further that norms of the tender are "erroneous, against the stated policies of the government and the government's vision for Digital India programme and are resulting in wastage of government funds by mandating to deploy an outdated, dying legacy, inefficient 2G technology at the higher cost". 9. Telecom operator Idea Cellular today said sector regulator Trai's decision to cut mobile call connection charges is a body blow to the segment and "riddled with egregious infirmities".